Using the example and context of Physical Education, a particularly vivid and comprehensive illustration is provided of the processes involved in the development of the National Curriculum for Physical Education in England and Wales between 1988-1995. The authors draw upon the extensive research to provide an analysis, description and critique of the direct and indirect influences of central government, local education authorities, schools, departments and teachers in the development of policy and practice in Physical Education. The highly political nature of policy developments in education, and Physical Education in particular, is demonstrated clearly throughout. 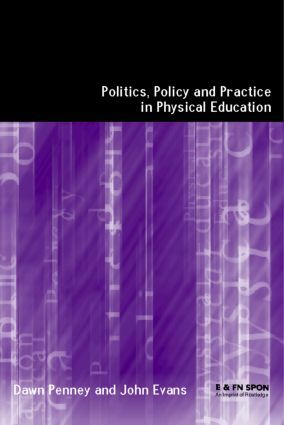 A valuable contribution to existing literature, this book helps students and researchers piece together the last ten years of policy-making in education and offers a new perspective on the future of Physical Education in the United Kingdom.